I like to consider myself a fashionable person. While some other guys out there might not think about what they grab from their closets and put on every day, I think looking nice is important. There are some things that just don’t go well together, and people should know what those things are. On the other hand, there are a lot of combinations out there that look great. 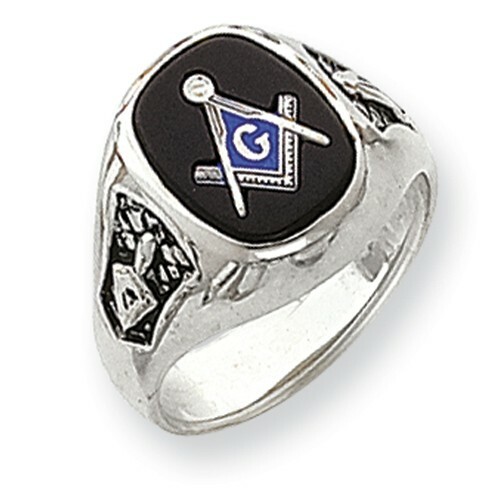 For example, I like wearing my Freemasons ring with my nice suit. It really helps give off that regal vibe I like to look for. It looks super nice, and it really says that I’m a dapper person when I wear it. Wearing my navy blue suit with this ring really gives off a good feeling. The silver really shines when I wear it with a suit. Sometimes though, I don’t feel like wearing a suit. There are times when pairing the ring with a nice shirt or a cardigan is just as good. I think the suit stands out the most, but sometimes you really want to blend in. Getting that look down can be tricky at first, but I think I’m great at it. 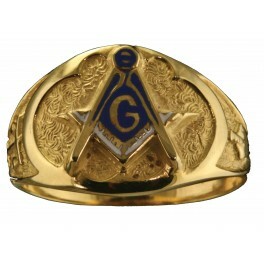 When I wear my Freemasons ring in an outfit, it really looks superb. The rings I have in my personal collection all have different meanings. For example, my graduation ring is beautiful with emerald green, and it represents my school. It helps me recall the memories of my youth, both the good and the bad. But I also have rings that have been passed down for generations, such as ones that are Masonic. Those ones are extra special, because they have a lot of history. To begin with, my father’s father was a very involved Mason. He did a lot of great things for the community. My father admired that, but he never got quite as involved as my grandfather did. He had other things on his mind at the time, such as my mother. So when the Masonic rings got passed down to me, it was a big deal to me. Those were my grandfather’s most prized possessions, and he thought I should have them. So to this day, I keep those rings in a protective display box for safekeeping. They’re displayed in the main room of my house, near the other rings I’ve collected over time. They’re definitely the centerpiece of the room, because masonic rings have a certain grandeur that really shines. Is there any significance in the different color stones (Red, Blue and Black)when used in the Blue Lodge Masonic Rings?While there may not be as many versions of the Masonic ring as there are Masonic lapel pins, there are several, most notably the square and compasses and the so-called Tubal-Cain sign. The ring can be found crafted from many materials and the Masonic symbols have been placed on stones, or artificial replicas of stones, that are red, blue and black. Some of the myths surrounding these rings are that the red setting indicates a brother under the Grand Lodge of Scotland, while the blue setting is for those lodges that evolved from the United Grand Lodges of England. The black is just accepted. I have never heard anyone try to associate it with Prince Hall Masonry or lodges that are predominately comprised of Black brethren such as Equity #106, on the Register of the Grand Lodge of Nova Scotia. Blue Lodge Ring; compass points pointing away from you or toward you? The consensus is that if a Blue Lodge Ring is worn to advise those who see it that the wearer is a Master Mason, the tips of the compasses should be pointed towards the tips of the fingers. If the ring is worn to remind the wearer that he is a Master Mason, the ring should be worn with the tips of the compasses pointed towards him. The choice is yours to make! You are currently browsing the archives for the Blue Lodge Rings category.